This week we are featuring two authors from Down Under. The first is Liane Moriarty! She was born in Sydney and still lives there now with her husband, ankle biter son and new baby daughter. She made a quid in advertising and marketing for a while, eventually starting her own business and then working as a freelance copywriter. In the meantime she dreamed of becoming an author and finally finished her first novel, "Three Wishes" after she was inspired by the success of her younger sister (YA author, Jaclyn Moriarty.) 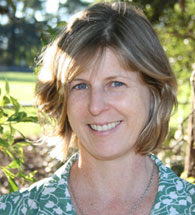 Liane is now a full time author of adult novels and a series of children's books. Her latest novel coming to our neck of the woods is "What Alice Forgot", which will be in stores on Thursday! Fox 2000 has bought the film rights to this novel, so it will be interesting to see if they went with her casting choices or not. Thanks to Stella Connell of the Connell Agency, we have two copies for some lucky readers in the US or Canada. Ace! Liane is a cool chick with a great sense of humor and we are rapt that we had the opportunity to chat with her without even jumping on a plane! If you like what you've read today, check out her blog! You can also visit her at The Debutante Ball starting June 4th. LM: Reading in bed, reading in the bath, reading in the TV commercials, sleeping, eating chocolate, working off all that chocolate doing gym classes, skiing (not that I ski every weekend but I thought I should mention something outdoorsy) and now it occurs to me that I haven’t mentioned my children, and we’ve just had Mother’s Day, where I happily accepted all manner of accolades. What I actually do when I’m not writing is take care of my 3 year old son and 15 month old daughter, and I like that very much. MP: What was the biggest challenge you faced while writing "What Alice Forgot"? LM: The ending was my biggest challenge. I don’t write to a plan, and I had no idea how Alice would reconcile the two perspectives she now had on her life. Also, I was meant to deliver the manuscript just before I delivered my first baby and he made an unexpected appearance five weeks early. (We were also renovating the house, as you do just before you have a baby, so everything was in chaos.) I ended up finishing the novel six months later, while my baby kicked and cooed in his ‘jungle gym’ on my office floor and that’s when the ending became perfectly obvious. LM: I have a wonderful babysitter who looks after my children for 3-4 hours at a time, 3 days a week. I close the door and write. I’m satisfied if I write 500 words, happy if I manage 1000 and delirious if I reach 2000. MP: If you were not a writer, what job would you like to have? LM: I’d like to be the beloved queen of a small kingdom in Europe. 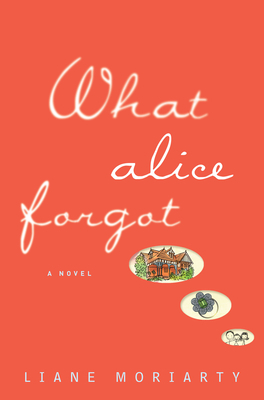 MA: If "What Alice Forgot" were made into a movie, who would you cast as the lead roles? LM: I have sold the movie rights and the producers were talking about someone like Jennifer Aniston or Reese Witherspoon for the role of Alice. I also think Sandra Bullock would be wonderful. I’d cast Brad Pitt for the role of Nick. He’d been entirely unsuitable, but I’d still cast him. MA: If you were to take us on a tour of your hometown, what would be some highlights? MA: What is your favorite thing to do at the beach? LM: Swim, and then rush straight to the shade for my hat, shirt and more sunscreen (I don’t have the right complexion to live in Australia). MA: Where do you see yourself in ten years? LM: I’ll be over fifty, so I really don’t want to talk about it. Oh, all right. I expect I’ll be ferrying my children from soccer to ballet, I’ll still be writing, perhaps my tenth novel, I’ll be living in a castle, thanks to the startling success of my ninth novel … actually this is starting to become more enjoyable. MA: What was the last romantic movie you watched? LM: The Adjustment Bureau with Matt Damon and Emily Blunt. I loved it. Except then I spent 40 minutes with a friend driving around in circles while she tried to help me find my car in an enormous shopping centre car park, designed to trap you forever, during which time all the warm and fuzzy feelings created by the movie vanished. LM: My dream holidays always involve skiing, so this question gave me the excuse to google ‘world’s best skiing destinations’ and study photos and descriptions, as if I was actually planning this mythical trip. I’ve already been to some of the top ten locations like Aspen and Whistler, so after much dithering, I have finally settled on Lech & Zurs, Austria, for no other reason than it had the most stunning photo. Special thanks to Liane for a great conversation and to Stella for supplying the books for the giveaway. 1. Please tell us: What was the last romantic movie you watched? 2. Please tell us: If you could visit Australia in the near future, what is the first thing you would do? 6. Add a friend to our Facebook group. (Tell us who you added. )Be sure to remind them to edit their settings. US/Canada only. Giveaway ends June 5th at midnight EST. If I could visit Australia I would want to go on a site seeing tour. The last romantic movie I saw was Beauty and the Beast the Disney version ( I watch a lot of Disney with my son :)). Visiting Australia I would want to visit the famous zoo they have there. The last romantic comedy I saw in the theaters was Something Borrowed. I will post link to blog. The last romantic movie I saw was SOBO. I would love to travel to Australia. I don't know what I would visit first to be honest. I would have to say The Notebook was the last romantic movie I saw. The last movie I saw that was romantic would probably be "Under The Tuscan Sun". In Australia, I have always wanted to go to the "Outback" ever since I read Mary Martin's (the actress who played Peter Pan) autobiography as she lived there for years! 2. I've been to Australia and the first thing I would do when I land is get a pie! I love chick-lit that takes place in Australia! I would go to the beach...they always look so pristine. The last romantic movie I saw was Something Borrowed. If I went to Australia, I would go the zoo. Interesting interview. Thanks for the giveaway. -Last romantic movie was Sliding Doors, which I saw on DVD. -If I went to Australia, I'd like to see the opera house. Last romantic movie I saw was The Notebook on tv. If/when I go to Australia I want to scuba dive in the reef, my husband went there when he was a teenager and he has all these amazing pictures! 2. Australia, hmmm.....first thing I would do is hit the beach! 4. I am a member of your Facebook group. 5. I have posted this contest on my blog over at http://book-chic.blogspot.com. The last romantic movie I watched was "My Girlfriends Boyfriend" which sounds awful, and it was until the very end. I actually recommend it to anyone who likes frustrating women and a twist. If I could visit Australia in the near future I'd want to visit the reef right away. It's on my list. And I'm already a member of Chick Lit Central on Facebook. The last romantic movie I saw was No Strings Attached. I enjoy reading books by authors from outside North America because I like the little nuances that come through. I'm not sure if it counts, but the last "romantic" movie I saw was Gnomeo & Juliet. If we're going with traditional rom-com, then Something Borrowed. First thing I would do when arriving in Australia is to make my way to the city/town of Hamilton. I used to think it would be cool to visit all the cities named Hamilton in the world. I am a follower of the blog through GFC. The last Romantice movie I saw was "Dear John"
If I could visit Australia the first thing I would do is hold a Koala Bear.